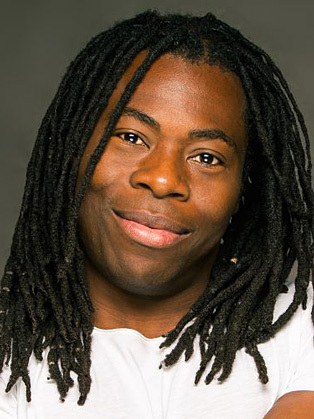 Never one to hold back, Ade Adepitan regularly goes under cover, investigating controversial and ground-breaking stories for Channel 4’s award winning documentary series Dispatches. 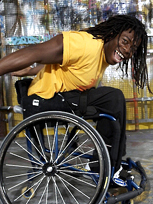 Recent episodes have seen him confronting the UK’s benefit system’s personal disability allowances. He is also a regular reporter for foreign affairs series Unreported World. Throughout the series, Ade shines a light on shocking hidden truths, exploring the controversial gay scene in Jamaica and unveiling the illegal doping activity of Kenya’s Athletes- a story wildly covered by the press. The 2014 Sochi Winter Games for Channel 4, The IPC Athletics, The Channel 4 Anniversary Games, The 2016 Invictus Games– created by Prince Harry and of course the 2016 Rio Paralympics. Coinciding with the 2016 Olympics and Paralympics, Ade co-hosted The Superhuman’s Show with Alex Brooker. He also joined Anita Rani and Dan Snow for World’s Busiest City: New York - a 3 part series for BBC 2, providing an insight into the transport links, local delicacies and beautiful landscapes the Big Apple has to offer. The successful series returned in 2017- this time Ade and his co-presenters visited 4 of the World's Busiest Cities- Hong Kong, Delhi, Mexico and Moscow. Ade is ending this year with a bang- presenting Children in Need for the second time alongside Tess Daly. A successful show that raised record-breaking funds of £50.1 million!